How plausible is the China in Kim Stanley Robinson’s *Red Moon*? The premise of Kim Stanley Robinson’s new novel Red Moon is that China has taken the lead in colonizing the moon, leaving America far behind. I am a Robinson fan, and since the theme of China overtaking the US is very much in the air these days, I was interested to pick up the book to get his take on it. At the Twentieth People’s Congress, in 2022, the Chinese Communist Party and its Great Leader President Xi Jinping decided that the moon should be a place for Chinese development, as one part of the Chinese Dream. In the twenty-five years since that resolution was made, much has been accomplished in China’s lunar development. In China, if the Party chooses to do something, then the whole country can be rallied to that cause. One out of every six humans alive, in other words, devoted to the project of establishing a base on the moon. This was far more than needed to do the job! Not every Chinese person was involved, and only a small percentage of China’s capital reserves had to be directed up here, even though it was a pretty big project. But it wasn’t that big, and in the end it was just more infrastructure. This is not bad! For China to treat a lunar base as an extension of the Belt and Road Initiative, and “just more infrastructure,” is a fairly straightforward extrapolation of recent trends in Chinese political economy. And it has a ripped-from-the-headlines feel, given that in January, China became the first country to land a spacecraft on the far side of the moon. With India and Israel also planning lunar missions, lunar exploration is in fact a good reflection of the shift from bipolar or unipolar world to a multipolar one. But sharp-eyed readers will have noticed that in the above Robinson says “People’s Congress” when he really means “Party Congress.” Annoying errors like this abound. Even more troubling are the names of the many Chinese characters, which often seem to be invented randomly without reference to the actual Chinese language. The president of China in 2047, for instance, is supposedly named Shanzhai Yifan. Not only is shanzhai not even a Chinese surname, it is (as anyone who uses the internet should know) a slang term meaning something like “cheap knockoff.” So did one of Robinson’s sources play an elaborate joke on him? Or is this just sloppiness? Being fuzzy about the details of foreign languages and political systems is not a criminal offense for a writer of speculative fiction, who after all is supposed to be speculating rather reporting. But it seems that apparently neither Robinson nor his publisher could be bothered to run the manuscript by an actual Chinese-speaking person before publication. I’m not even a native speaker, and I could have fixed most of these minor issues in a couple hours of work. As a result, the book is something that no Chinese-speaking person could ever take seriously. The more fundamental problem with the future China in this book is that it’s not really a future China: it’s just today’s China with some of the names changed. And sometimes not even that: in 2047 Chinese people are apparently still sending each other messages on WeChat on their mobile phones, and complaining about the Great Firewall. There’s a whole subplot about a social revolution unfolding in China, in which people’s grievances seem to have been lifted from dated magazine articles: the “breaking of the iron rice bowl” and the hukou system. That subplot is very thinly sketched and happens mostly offstage, and as a result is not even convincing as narrative, even aside from the details. Red Moon has generally received mixed reviews, as it has other narrative weaknesses besides the poor portrayal of China. I think we’re still waiting for a work of fiction that gets to the heart of how America deals with a rising China — admittedly a pretty demanding task. For better recent Robinson, I would recommend Aurora, and also Shaman, which I think is underrated, and features some of his best nature writing. Atheism, says Tim Whitmarsh, is a “tradition that is comparable in its antiquity to Judaism (and considerably older than Christianity or Islam).” In his fascinating book Battling the Gods: Atheism in the Ancient World, he conducts what he calls an “archaeology of religious skepticism,” digging out evidence of atheism in ancient Greece and Rome from hints and scraps in various sources. There were no social mechanisms whose jobs were to create consensus in the matter of religion, and in any case society as a whole invested little in defining the nature of divinity precisely. This meant that for much of Greek antiquity atheism was not treated as a heretical position, the “other” of true belief; it was seen rather as one of the many possible stances one could take on the question of the gods (albeit an extreme one). It was only in Christian late antiquity that atheism began to be constructed in systematically antithetical terms, as the inverse of proper religion, a threat to the very foundations of human civilization. According to his ancient biographer, Thucydides studied philosophy with the pre-Socratic materialist Anaxagoras and “as a result was whispered to be an atheist.” Some modern scholars have agreed with the latter assessment. We will of course never know about the personal beliefs of the historical Thucydides who wrote the words, but his History of the Peloponnesian War … is the culmination of the fifth-century tendency toward the exclusion of divine explanation. Not only does he refuse to admit non-naturalistic causality, but he cynically skewers any attempts on the part of the actors in his story to invoke the gods. Whatever his own personal beliefs were, the History can reasonably be claimed to be the earliest surviving atheist narrative of human history. Or chastisement for the base. Anyone who erred was punished. They should do or say or think anything. The fact that such views can once again be openly discussed in the modern world is, in Whitmarsh’s account, a return to the historical norm after the millennium-long diversion of Catholic Christianity. If there is a villain to his story, it is the Roman emperor Theodosius, who in 380 AD declared Christianity the official religion of the empire and required all subjects to follow it. Traditional Roman polytheism was banned, and heresy became a crime against the state (as it also was for Socrates, but this time with a much more effective and aggressive state). This “alliance between absolute power and religious absolutism” essentially made objective inquiry into the functioning of human society illegal. There is reason, then, to think that the toleration of atheism is part of the intellectual framework necessary for the objective understanding of human society, and thus for the practice of social science and economics. If social institutions are the creation of divinity and cannot be questioned, neither can they be analyzed or changed. Many of the founding figures of European social science in the nineteenth century were in fact militant atheists. Yet the cynical atheist’s take on religion–that it is “just” an invention of the powerful, or the cloaking of baser realities in high-flown language–itself is hard to sustain under objective scrutiny. The complexity and richness of religion as a human institution can only be reduced to such simple terms by doing violence to the facts. Timothy Larsen’s excellent book The Slain God: Anthropologists and the Christian Faith shows that some of the greatest analysts of religion as a human institution were themselves strongly religious. (Thanks to Tyler Cowen for alerting me to the existence of this book). The early anthropologists Edward Tylor and James Frazer were skeptics who viewed Christianity and “primitive” religions as equally wrong, and their writings functioned more as polemics against belief than as plausible accounts of religion. Their work has, quite justly, been largely forgotten. Yet it seems clear that these anthropologists achieved a depth of understanding and insight that escaped many others, in part because they had sympathy with the religious believers they studied. Larsen says that Evans-Pritchard thought Christian theology to be “sophisticated, insightful, and true”–and that the theology of the Nuer people he worked among was no less so. This sympathy was not simple credulity. In Evans-Pritchard’s classic Witchcraft, Oracles, and Magic among the Azande, he writes that “witches, as the Azande conceive them, clearly cannot exist.” But he was not preoccupied with demonstrating the falseness of their belief in witchcraft, but in understanding how it worked and why it made sense. Atheism thus seems like a necessary but not sufficient condition for the understanding of human social institutions, including religion. A society in which belief cannot be questioned will not produce accurate histories of those beliefs. But a religious skeptic is also not necessarily the person best equipped to enter into the thought-world of religious believers. Producing convincing accounts of religion seems to require a peculiar combination of objectivity and sympathy, which itself is rather difficult to explain. It seems that neither religiosity nor skepticism on their own will always prove reliable guides to understanding. The anthropological approach is not to privilege either one, but to see both religiosity and skepticism as normal social phenomena that themselves can be explained. Mary Douglas, who was perhaps the most brilliant of the figures in Larsen’s book, attempted to do just this in her book Natural Symbols. I feel quite convinced that the idealist and the materialist, the dreamer and the realist, the introspective and the non-introspective man have always been with us. And the same would hold for the different grades of religious temperament, the devoutly religious, the intermittently, the indifferently religious man. If individuals with specific temperaments, for instance the religious-aesthetic, have always existed we should expect to find them expressing themselves in much the same way at all times. And this, it seems to me, is exactly what we do find. Does the state still love state-owned enterprises even after they’re not state-owned anymore? That is the question raised in an interesting new NBER paper on the aftereffects of China’s privatization of SOEs in the late 1990s: “Can a Tiger Change Its Stripes? Reform of Chinese State-Owned Enterprises in the Penumbra of the State,” by Ann Harrison and four coauthors. They report that in 2013, 45% of industrial SOEs received government subsidies, but only 15% of private industrial firms received them. Privatized SOEs, however, are different: 25-35% receive subsidies, much more than firms that were always private. Similar results show up in access to finance: privatized SOEs pay higher interest rates than current SOEs firms but lower interest rates than firms that had always been private. But why should this be the case? The paper is curiously silent on this. The whole point of the SOE privatization over 1998-2003 (after that, privatization basically stopped) was so that the government would not have to keep giving free money to money-losing SOEs. Privatizing the SOEs, and then continuing to give them lots of free money, rather seems like the worst of both worlds. So it seems rather unlikely that this pattern is the result of a deliberate, centralized policy choice. My hypothesis would be: it’s about people. Let me propose that the managers of SOEs understand the government pretty well and are pretty good at extracting benefits from the system. Since, after all, that is a good part of their job. Furthermore, the managers of privatized SOEs are often going to be the same people who managed the firm when it was state-owned. One survey of SOE privatizations found that sales to insiders (aka management buyouts) were by far the most common type of deal, accounting for 47% of their sample. Therefore, privatized SOEs are often going to be run by people who have established relationships with government officials and managers of state banks. It stands to reason that they are going to be better at working those relationships than the executive of a run-of-the-mill private company. And that companies that have been able to obtain subsidies in the past would know best how to continue obtaining those subsidies in the future. On the financial front, this behavior by state banks is not irrational. If a state bank has an established relationship with an SOE, that relationship doesn’t just evaporate once the SOE is privatized. The bank will still have a lot of knowledge about its customer, and have a history that makes it more comfortable continuing to lend on favorable terms. So the persistence of favorable treatments for SOEs after privatization is probably mostly about the persistence of relationships–and firms’ understandable unwillingness to relinquish established sources of commercial advantage. The new book has to be understood in the context of Lardy’s previous book from 2014, Markets Over Mao: The Rise of Private Business in China. In that book he argued that it was the rise of increasingly efficient and productive private-sector companies that has driven China’s economic growth over the last four decades, not state-owned enterprises, government planning and industrial policy. In contrast to the view in some quarters that China remains a fundamentally state-controlled economy, he laid out all the ways in which markets have been liberalized and competition increased since 1978. A lot of the key changes in the relationship between the state and private sector happened in the 1980s and 1990s, and are well explained in that book. But Lardy also engaged with the argument that, as he put it, “state-owned firms returned to prominence of the decade of leadership of President Hu Jintao and Premier Wen Jiabao (2003-12)”. While acknowledging that the Hu-Wen government wanted to make state enterprises and industrial planning play a a bigger role in the economy, he argued that the data showed they had not succeeded. In fact, the private sector’s share of economic aggregates had continued to increase, not because of continued privatization but because private firms are more efficient and grow faster than SOEs. This process was aided by a substantial increase in private firms’ access to bank credit. The big decline in bank lending to the private sector (the absolute volume of new loans to private companies shrank, not just the share) had major consequences. It forced private firms to rely even more on shadow finance. But in 2016 the government also decided (correctly) that the rapid expansion of shadow finance posed systemic risks. The tightening of regulation led to an outright decline of shadow financing in 2018, putting many private firms into dire financial straits. The financial pressure on private firms has allowed their state competitors to expand at their expense: SOEs in industry are growing faster than their private competitors. Lardy said this is the first time this has happened since 1978. Lardy thinks all this is bad for China. He is right! He also puts most of the blame on the policies of Xi Jinping–tolerating SOE inefficiency, encouraging the creation of larger SOEs, tightening Party control over private firms–since these trends in the data did not show up until a few years into his administration. Essentially, both of Lardy’s recent books are about the use of economic data to support a narrative about the direction of reform in China. In Markets Over Mao, he argued that the data did not support a narrative of the resurgence of the state sector, and in fact supported a narrative of the rise of the private sector to new heights. I think it is fair to say that a number of people felt that Lardy in that book was too forceful in downplaying trends that were in fact important, but perhaps were difficult to tease out in the aggregate economic data. Now, Lardy is arguing that the data support a narrative that the state is resurgent and the private sector is losing out. Since this is a recent reversal of a positive long-term trend, he thinks that if China changes course it could significantly boost its economic growth rate, by as much as 2 percentage points. My own view is more that economic policy under Xi Jinping represents an intensification of trends that were already playing out under Hu Jintao. I think this is pretty clear if you pay attention to China’s official rhetoric and try to understand the underlying political economy. Since I think the problems go back further than 2015, I am less optimistic than Lardy about China’s longer-term growth prospects (thanks to Greg Ip of the WSJ for including a summary of my views in his latest piece). I also think that it is tricky to tell a clear story about the rise or fall of the state sector using the official economic data–having spent a lot of time and effort trying to do that myself. As someone who very much appreciates Lardy’s careful work with Chinese data, let me offer a couple of caveats to the charts above, in the spirit of seeking truth from facts. First, on the bank lending data. Lardy is right to highlight the sharp downturn in lending to private companies in 2015-16. But it is not clear to me that this is a result of government policy to favor SOEs. Recall that there was a pretty serious economic downturn in 2014-15. It would make sense for banks to respond to that by trying to reduce the risk in their loan books, and one obvious way to do that would be to curtail lending to smaller and riskier companies, i.e. private ones. (The fact that SOEs are seen as less risky than private companies is a structural problem, but it’s nonetheless true that banks are correct to make this judgment given the realities of China’s political economy.) In other words, the change may have been more cyclical than structural. There is some preliminary evidence that supports this interpretation. The data that Lardy and I use to calculate lending to state and private firms is released with a long lag, and recent figures aren’t out yet. But banking officials disclosed last year that lending to private firms totaled 30.4 trillion renminbi as of September 2018. This is equivalent to 38% of outstanding corporate loans–which is roughly the same level as in 2013, and a big increase from the 32% in 2016 (again, this is the share of outstanding loans; the chart above is the share of new loans made each year). This suggests that new loans to private firms rebounded in 2017-18 (probably more in 2017) as the economy recovered. Second, on the industrial data. The fact that industrial SOEs are increasing their value-added faster than private companies is certainly notable. But SOEs and private companies tend to operate in different industries, so it can be hard to tease out the difference between sector effects and ownership effects. Industrial SOEs are concentrated in upstream, commodity-producing sectors, while private firms are more in downstream manufacturing sectors. It seems quite likely to me that the big decline in SOE value-added in 2015-16, and its rebound in 2017-18, have the same source: swings in commodity prices that had big effects on their profitability (value-added is basically profits plus labor compensation). The chart below uses monthly rather than year-to-date data, and we can see that the growth in SOE value-added has recently fallen back below that of private firms as steel and oil prices have come down. Lardy is right that the fact that in these charts the red line (SOEs) is above the blue line (private firms) is significant and concerning. But if this year or next the blue line moves back above the red line, will that mean China’s private sector is out of the woods, and all is fine? I suspect not. Bill Dixon – Intents and Purposes. 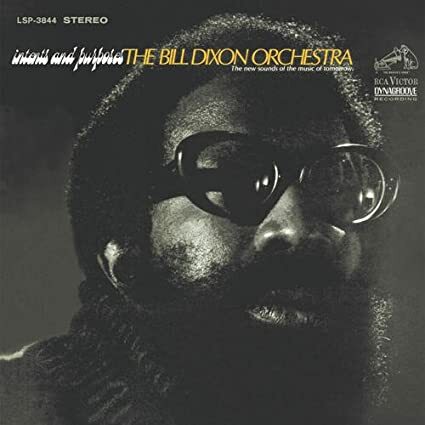 This 1967 recording by trumpeter Dixon is easily lumped together with the free jazz of the era, but in fact it was mostly through-composed. And it really does not sound like much from that time, or since: a moody and often delicate piece of orchestral jazz. Lucky Thompson – Tricotism. Thompson has one of the most gorgeous tones of any tenor saxophonist. In these 1956 sessions, his beautiful sound is displayed to full advantage in a drummerless trio. 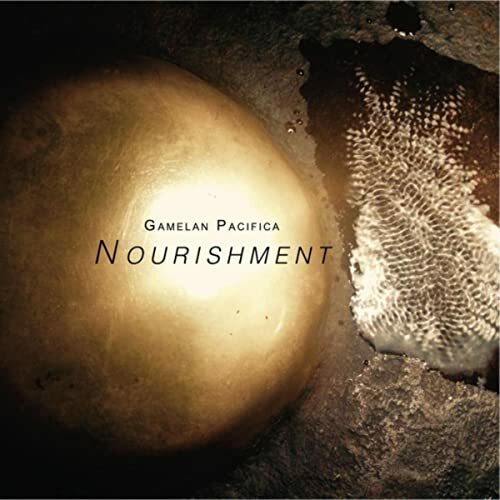 Gamelan Pacifica – Nourishment. The Seattle-based gamelan ensemble’s 1994 recording Trance Gong was a landmark in combining Indonesian modernism with American new music; this 2015 has more excellent and intriguing work. 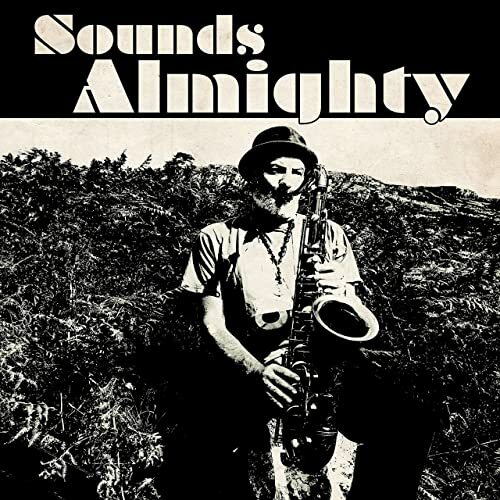 Nat Birchall – Sounds Almighty. Birchall is a British tenor saxophonist who usually plays jazz, but he is also a devotee of Jamaican music. For this 2018 session he joined up with trombone great Vin Gordon to record some instrumental reggae in the classic style. 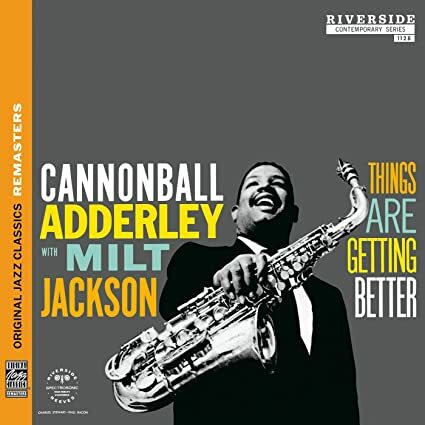 Cannonball Adderley & Milt Jackson – Things Are Getting Better. A classic straightahead jazz session from two masters of blues feeling. Also available as part of this compilation. What will it take to lower China’s investment rate? China really can’t keep investing 40-plus percent of GDP. It needs to shift over to higher consumption, which it could do by returning more profits from state-owned enterprises to the public, strengthening the social safety net, and so on. But it keeps not doing that. Myself, I think it’s weird that people who want China to invest less tell it to do all these structural reforms rather than just, you know, invest less. They miss the point that much of the low-return investment in China is done by the government and the state sector: it’s all those local infrastructure projects. That’s really where the buildup of excess investment is happening, not so much in the private business sector (which faces hard budget constraints and often tough access to credit). According to the World Bank’s latest China Economic Update, China’s public investment has averaged 16% of GDP since 1978, while OECD countries spend about 3.7% of GDP. So if the government wanted to make a policy choice to invest less, it can just directly make the state sector invest less in those crappy low-return projects. It doesn’t have to overhaul social policy first. The point of strengthening the social safety net, in this framework, is to reduce precautionary household savings. But high household savings don’t directly lead to excess investment. They do help keep the banking system liquid which enables a lot of borrowing by SOEs. But trying to impose financial discipline on SOEs by improving the safety net and lowering household savings is pretty indirect. The central government could just require investment projects by SOEs and local governments to clear more hurdles. Fundamentally, the reason that China invests a lot is that the government has made a decision to keep public-sector investment high in order to boost aggregate demand. If/when that changes, the investment rate will come down. And so will growth. Which is why China is not in a rush to make that call. The hard choice that China has to make is not whether to undertake complex and difficult technical reforms to social policy. The hard choice is to decide when the efficiency losses from forced high investment start to outweigh the benefits of the boost to aggregate demand. Some people are interpreting the government’s recent pledges to avoid “flood- like” (大水漫灌) stimulus as a sign that they have in fact reached this conclusion, and want to wean the economy off low-return infrastructure projects. Maybe a bit, at the margin. But the leadership is also going to a lot of trouble to create new funding mechanisms to ensure local infrastructure projects can continue, so it seems clear they don’t want this shift to happen right now. Redirecting some fiscal resources from investment to consumption (i.e. more social programs) could certainly help soften the blow. But this is a compelling argument only to macro people; the Chinese interest groups that would lose out from less public investment are not going to feel compensated if more social benefits go to households. Xi vs. Stalin: What drives the reversal of economic reforms? In the parlor game of finding historical analogies for present leaders, Chinese leader Xi Jinping is often compared to Mao Zedong. This is not very apt: Xi is an organization man, whose overriding desire for order is quite different from Mao’s love of chaos. After spending some time with Stephen Kotkin’s Stalin biography, Stalin: Paradoxes of Power 1878-1928, I am surprised more people do not compare Xi to Stalin (though of course some have). Both men rose in an authoritarian system formally run by a collective leadership, and shifted it in the direction of more personalized rule for themselves and tighter political controls on everyone else. Stalin, of course, also unleashed a historic economic catastrophe upon the Soviet Union, when he abandoned the market-tolerating New Economic Policy and embarked on a crash course of agricultural collectivization and forced industrialization. Xi has not done that! His endorsement of industrial policy and favoring of state enterprises has disappointed many liberal economists. He wants a strong state, has re-emphasized Marxist ideology and clamped down on public policy debate. But it is also worth remembering that he has allowed technocrats to liberalize the exchange-rate regime and tighten up financial regulation, two long-needed reforms. So it seems worth posing this question: what caused Stalin to abandon pro-market policies, and could similar factors be at play in Xi’s China?